We don't want your stinking "Play Editions"
We've updated our Nexus 5 review - go take a look at it. It may be the last Google Nexus review we bring you. Not because we're boycotting the search grandmaster, but because Google's boycotting that brand. Heathens! At least, that's if one prominent tech commentator is to be believed. And he does have a habit of being right on a number of key stories. If so, it's night-night Nexus. I couldn't help wondering why - but it only took me a few minutes to nail this one. Google has a great brand, the Nexus line brings us 'pure Google' in a purely beautiful handset. So if it ain't broke, why fix it? Ah - of course. MONEY! Google's obviously got to fill the coffers up again since it's just ditched most of Motorola - its biggest acquisition for a few years - plus it's just forked out a fortune for Nest. Then there's those constant patent wars. They don't pay for themselves, you know. 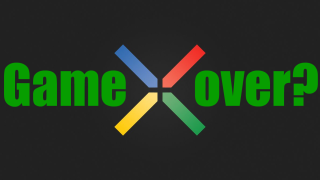 Is the Nexus' time up? Make no mistake - the Nexus is not making enough money for Google. Sure, it earns its keep for a company that is primarily more interested in software than hardware. But £299 for a top of the range handset? That's madness. And those crazy prices appear to be driving Mountain View over the edge. So by the looks of things, Google's deciding YOU should pay for them instead. What. A. Liberty! On the surface, this all looks like a mere name change - Nexus is now becoming 'Google Play Edition'. The search giant can still spread itself out to different manufacturers to decide who'll put its screws into place on said handsets, but don't expect a discounted handset off the back of it. Compare a Google Play Edition HTC One or Galaxy S4, there is a massive jump in price to nearer the £450-£500 mark. And if Google's taking a cut of this, signing agreements with manufacturers, it could end up taking home money for doing little else. Yeah, that's right Google. Sit on your backside, do sweet FA and let us pick up the slack. Thanks for that one. Plus there's a great strategy here - HTC, for argument's sake, can spank its marketing budget on a new handset, eschewing the best of design and aesthetics. And if Google then launches a Google Play Edition of the same phone, it can piggy back on the success, having done nothing really to fund the development. You couldn't make it up. Remember, Google can 'make' multiple Google Play Edition handsets - from the HTC One, to the Samsung Galaxy S4 to the likes of LG and Sony. There's no need to market a single brand here. Give pure Google to the masses - and make a fortune. Although I'm currently on an iPhone (jailbroken, I stress! ), I do have a personal fondness for the Nexus line. I was one of those who waited for the original Nexus One to be shipped to geeks all the way from the US on a cold January exactly four years ago. The snow delayed delivery, but the excitement could not be quelled. If this rumour is true, it'll be sad day for poignancy's sake - although to the end user, not much will change. Except the amount of spare cash in your wallet. I'm not angry with you, Google, just disappointed. Though I doubt you care.